Echo Lake is located on the north side of Highway 50 at Echo Lake Road. 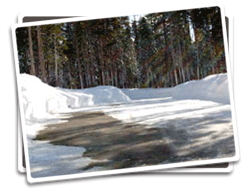 Recommended Activities: Cross-country skiing, dog sledding, and snow play. No snowmobiles. No parking on entry road.